The US government has strict rules about going to Cuba so I can only be there April 5 to 18. Because it will be a bit of a challenge to sail so far and be there on an exact date, I have decided to leave a little early and stop off in Racoon Cay for a couple of days, which is in the Ragged Islands in the Bahamas. 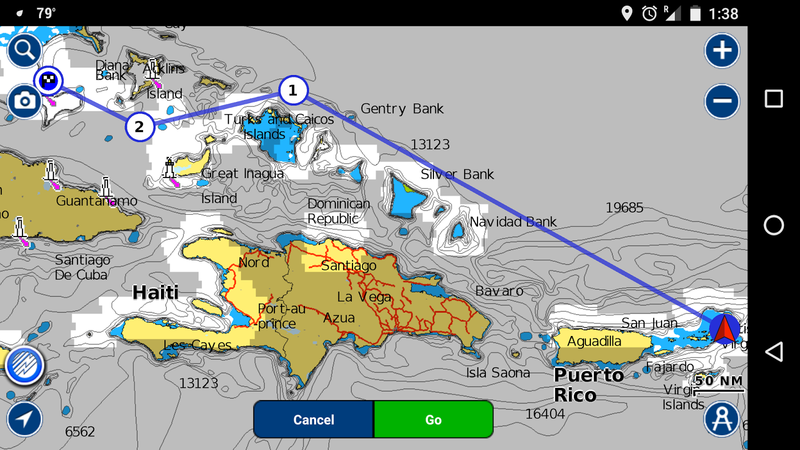 One plan is to go north of the Turk's and Caicos and then south of Aklins Island before stopping off in Racoon Cay. I'm not all that comfortable with going this way because then I will be on a Lee shore but in the end, the winds will dictate which way I will go. 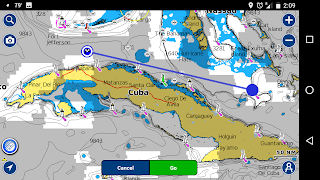 From Racoon Cay it is 350 miles to the Hemingway Marina just west of Havana. 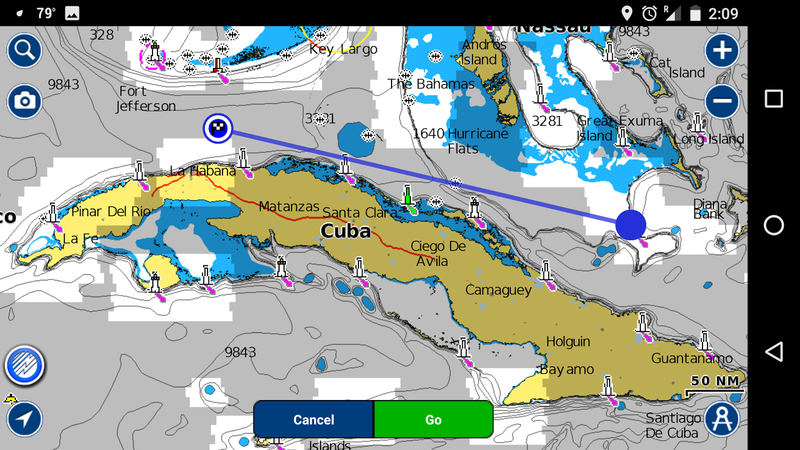 I've heard that unlighted Cuban fishermen cross this Bahama channel at night to fish on the banks like the "old man and the sea" so I will need to stay vigilant. 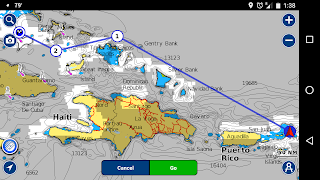 Because I will have very limited access to the Internet over the next few weeks, especially in Cuba, I will be relying on my Inreach satellite device to stay in touch. Send me a message if you can spare a moment. You may not see any more photos on this blog for a while but I will save them up and post them once I get back to the USA. I have set myself a task of doing a write-up on all 500 restaurants or "caladares" in Havana while I am there so I will be busy. Should we prepare for Doomsday scenarios? Is the green flash real?